The Auditor General’s report on the Government’s Consolidated Fund for the years ended March 31, 2010, 2011 and 2012 included information on instances of overspending, expenditures not having the required Cabinet approval, contracts not being tendered, duplicate payments being made and other issues pertaining to tens of millions of dollars. 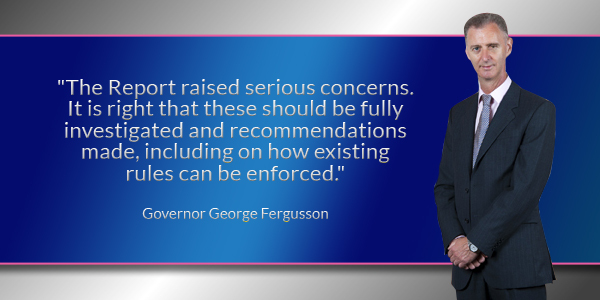 Governor George Fergusson said, “The Report raised serious concerns. It is right that these should be fully investigated and recommendations made, including on how existing rules can be enforced. Too bad he didnt feel the same way with the Tuckers Town Land grab !!!!!!!!!!!!!!! The one that the PLP shoved through with an SDO for development? Or the one waaaaaaay back when? Too bad you cannot stay on topic though….the years being looked at now are 2010-2012. Financial years ENDING March 2010, 2011 and 2012. Actual time period will encompass April 1 2009 – March 31, 2012! If ANYONE (merely) read the first few pages of the AG’s report you should be very angry. For example (just ONE example) govt during 2010/11/12 had been paying organizations TWICE and they had been massively OVERPAYING contractors (oooops just a mistake) and NOTHING has come of this. WHY aren’t these people who have clearly taken money which never belonged to them been taken to court?? This AG’s report is scandalous!! And the next time you lot hear Sandys 360 crying just remember they got paid their $807,000 grant TWICE. Can ANYONE tell me if govt got their $807,000 back? ?, cuz I don’t thing the AG has been told what’s going on. YOU LOT NEED TO READ THIS REPORT!!!! The AG has suggested that perhaps legal action should be taken. Well…..HELL YEAH!!!!!! If any of you lot paid someone twice, or you overpaid someone you would take them to court if they did not pay you back. 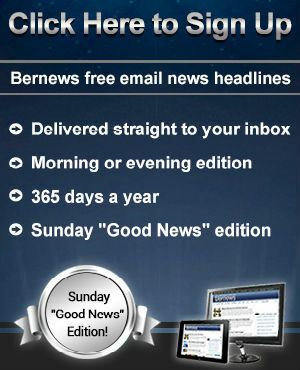 WAKE UP BERMUDA!!!!!!!! It was ascertained that folks got a fair price for the land way back when. There was no evidence to the contrary. Ya, but you forgot about de forty acres and a mule part!!!!!!!!!!! Please please don’t insult my intelligence.. Consider the time period that this occurred, and one would have to be extremely naive or downright in denial to believe that it was a just process.. give me a break.. Normally, I don’t raise up to stupid, ignorant comments, but enough is enough. Do you think the evidence that you speak of was really presented in its entirety and without bias?? So now you are saying there had to be injustices, because of the time it happened. That is not evidence, sorry. There has and will always be injustices involved when it concerns white supremacist tactics against Blacks, it’s ingrained in society WORLDWIDE !!!!!!!!!!!!!!!!!!!!!!!!!!!!!!!!!!!!!!!!!!!!!!!!!!!!!!! Uhh, I guess you want evidence, where do you want me to start. Exactly,, Does he really have to time to elaborate.. Playing ignorant to these facts is very disrespectful to the masses who faced and continue to face injustices.. So you want to go back in history and re-do everything according to today’s processes? Bit frikkin ridiculous isn’t it? Hey Dreamer, it’s because of History is the reason we’re having this discussion. History that you want to re write. It wasn’t that he felt that there shouldn’t be an inquiry, it was that the PLP didn’t properly write the bill for it… or for that matter, go back and rewrite the bill so that it could meet the requirements for an inquiry as asked by the governor. exactly. PLP went away saying bits and pieces and not the whole story as usual. The governor turned it down because of how it was written it opened up all land transactions and not just the tucker’s point ones. that was the only issues but instead of thanking him or even acknowledging the oversight and making the amendment they instead chose to make noise as they always do. And still have not made the amendment or anything else. so it shows how important it was to them in the first place. it was just a sound bite because they didn’t have anything else to gripe about that week. I wish that the governor felt the same way about a letter delivered to him, asking for a commission on gangs and guns. We have had 33 young black Bermudians murdered, and the community is CRYING OUT FOR A COMMISSION ON THE AUDITOR’s REPORT.Where are we Bermuda? Just when everyone thought the Leader of the Opposition had lost it, the truth is revealed. He knew a CoI was going to be announced- he was tipped-off. You go Boy! This will be a waste of time and taxpayers money before it even starts. It is a club up on the hill. They act like they are rulers not elected officials. Can’t help but notice that he did not advocate prosecutions as well. Even the PLP has advocated the prosecution & punishment of those guilty. WOW! Who do you think will be at the beaten end of that stick? There is not much point of going through this exercise if there are not going to be prosecutions & punishment at the end of it. Right about now there should be a bunch of calls to law offices & people planning early retirement for “personal” reasons. Any chance of an audit for 2013, 2014, 2015? No luck needed, already done and issued, and all except for the 2015 were unqualified… and that is only because 2015 isn’t ver yet, so ther won’t be one yet, but it is also expected to be unqualified. So after 6 years of qualified audits on the PLP administration (and I say the PLP and not just the civil service as one of the continually noted issues was ministerial and cabinet interference), the first OBA audits have been without qualifications… yet we continually hear from the PLP about how the OBA are running amuck with government finances and regulations… the PLP sure do have interesting perspective and standards for what defines government negligence and maladministration. The 2013 audit was issued in early 2014. The auditor gave an unqualified opinion which was the first in 6 years! The 2014 audit also had an unqualified opinion. You PLP deflectors really need to keep up . Can we please have a further comment from “Keeping it real” who asked a question and has now received a crystal clear reply from Double S.
Does he or she accept it is a fact that audits have been issued by the Auditor Genereal for 2013 and 2015 both with unqualified opinions for the first time in 6 years? Keeping it real asked a very direct question and has been given an unequivocal reply. Perhaps it is also reasonable not to expect an audit for 2015 as the year has not yet ended. We might demand miracles from the present OBA Government but that is really stretching it! @San George and @Onion Juice – did either of you read the report before posting ? I do agree , at the same time we need to go back to the files to see how the UBP/BDA/OBA handled the excess cash flow from the presence of the USNAS stationed here for many , many decades . I’m sure tha will be a interesting read . Now as for the the Tucker’s Town issue brought up by O.J. , WHAT WE DONT WANT IS TO EXPOSE THE FAMILIES STILL LIVING OFF OF THE ILL GOTTEN GAINS , and/or delve into the aftermath of destruction visited upon the displaced residents both black and poor white . Please explain your excess USNAS cash flow remark. The Governor seems basis when he only allows this and didn’t allow inquiries into Tuckers Town land grab. Merely a hoodwink by Dunkley and Governor for OBA to retain power. Well the Colonial powers that STOLE de land is the same whom he represents. The Governor does not need to ‘allow this’ as the Premier has the right to form a Commission based on the PLP’s suggested amendment to the relevant legislation. The Tucker’s Town commission request was that a formal Terms of Reference be put forward outlining the scope of the enquiry to take place. This is standard practice for any audit. But for some reason the PLP could not be bothered to come up with a basic Terms of Reference and instead wasting time marching. Couldn’t have been that big of a deal if they couldn’t formulate the basic scope. And as I stated above the 2013 and 2014 audits on the consolidated fund have been issued with unqualified opinions. The 2015 is yet to be issued. So your allegations are unfounded and uninformed. I agree Double, the Governor does not need to allow this process, that is true, but I find it very alarming that he chooses to speak on this topic but has stayed silent on many other issues. The naive me says its very ironic. The Governor appoints the Auditor General [independent oversight]. It is therefore appropriate that he makes a comment on the activities of his appointee. ‘Other issues’ are in the sphere of local politics and it is not appropriate or diplomatic for the Governor to become involved or comment. The voters will be ‘hoodwinked’ by finding out who the crooks are. That’s what you think? To Voter: I agree 100% with your comment about Dunkley and the Governor BOTH aspiring to retain oba power. the argument that UBP era misdeeds, Tuckers Town and St Davids compulsory purchases and even slavery should be looked into is not reasonable ….. we know these incidences happened and were wrong. But when the first labor government administration goes so far off track and acts like the very people we accused of stealing for decades….then what the hell do you expect? I have now lost all respect for the Governor.. For what is worth, I too agree with the Commission and I am eager to learn of its finding, however, the Governor has stayed silent on so many issues but now chooses to speak on this.. simply amazing..
Doesn’t the governor appoint the Auditor General ? Therefore it would be quite reasonable for him to speak on this matter. I think you would be surprised at what the Governor states in private meetings ‘without coffee’. Just because discussions don’t take place in the glare of pubic scrutiny does not mean that significant directions and decisions are not being made for the public’s good. By the Governor’s statement could he have commissioned an inquiry to take place, it has been several weeks since these reports have been in the public domain. It could be that he could have, however, the UK typically maintains a hands off approach with us as we are by and far the most advanced OT they have, with the most independent constitution from UK governance. So it would have been left to us to decide about having a Commission, rather than the governor intervening. So when he says “it is the right that these should be fully investigated” if Premier Dunkley didn’t commission an inquiry when would he had stepped in or just let it slide would have been the UKs approach although “the reports raised serious concerns”. Ok maybe he stood on Premier Dunkley’s toes during their last weekly meeting. A few weeks ago Premier Dunkley was not interested in a witch hunt. The OBA were elected to clean the mess that the PLP left behind. So yes, this is important. Not to say that looking into land grabs and the like aren’t but the BDA Govt finds itself in a very tough financial situation that will affect every resident forever….so yes…a commission is the right thing to do right now. The racial disparity of wealth that was left by the OBA/UBP will and has affected every resident forever. There we go again . The tired old myth that there’s no such thing as a wealthy black Bermudian or a poor white one .